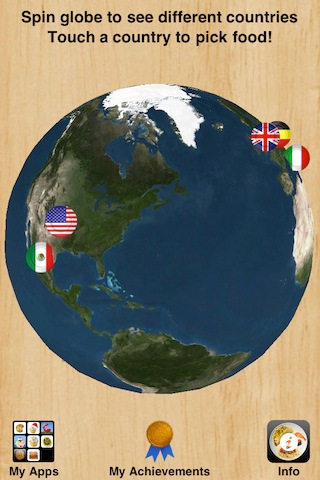 Feast Around the World with More Buffet! Want to impress that special someone? Take them on a feast of unlimited virtual delicacies from around the world with More Buffet! Built by Maverick Software, the creators of More BBQ, More Cookies and more, More Buffet! 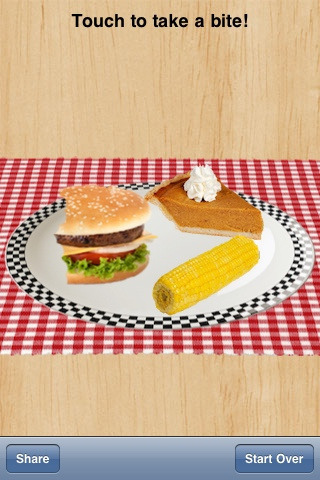 is a food touring app that lets you pile up a plate full of food and then eat your way to the bottom with great big bites. 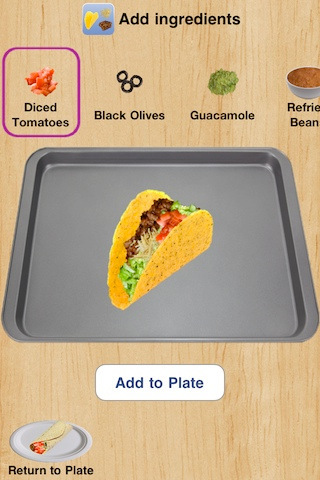 The main draw of this app is its ability to give you access to everything from Australia’s vegiemite toast to make-your-own nachos in Mexico via a clever buffet interface. Although More Buffet! is listed as a game, it feels more like a drag and drop food based creation tool that starts with a 3D rotating globe and ends with emailing out final platefuls and then munching away at the virtual culinary wonders of the world. While some items come totally prepared in drag and drop fashion (e.g Mexico’s tacos or Germany’s Bavarian Pretzels), other items require a bit of assembly. America’s hot dogs, for example, let you choose between three different buns and then lets you douse your hot dog of choice with an array of condiments. 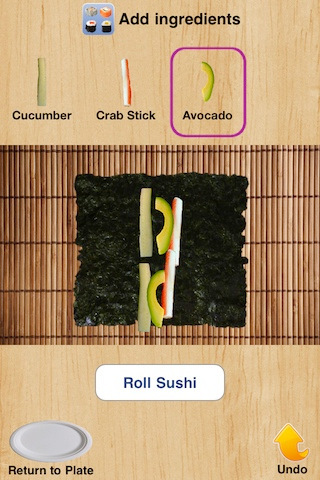 The sushi rolls on the other hand, bring you deep into the process by letting you add the ingredients, roll the sushi with a swipe, and then slide the pieces before serving. Since everything layers above everything else in More Buffet!, plates that start with Chinese dim sum can quickly turn into something else entirely. The food items almost feel like acrylics in the way that they layer over each other, so this is a buffet that’s limitless. Once you’ve prepared meals you can save photos or email them to friends and then eat the plate clean with big crunching bites, but the whole gamification aspect of More Buffet! revolves around achievements. Players get points for visiting every country, figuring out what a Coney Island Dog is, and prepping a plate that tours the world’s desserts. The whole setup is clever and maybe even a bit educational, but overall More Buffet! feels like a novelty app that will get a few laughs and shares before ending up in a pile of unused icons on your homescreen. 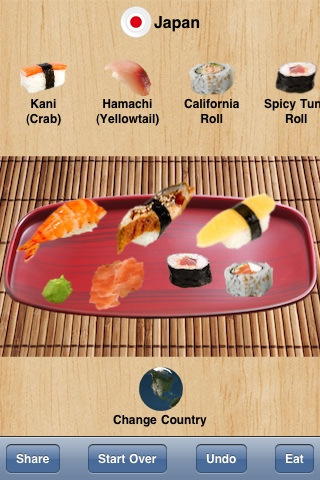 Bottom Line: Virtual food touring app More Buffet! is a clever serve yourself game but there’s not enough game based interaction to make this much more than a novelty.